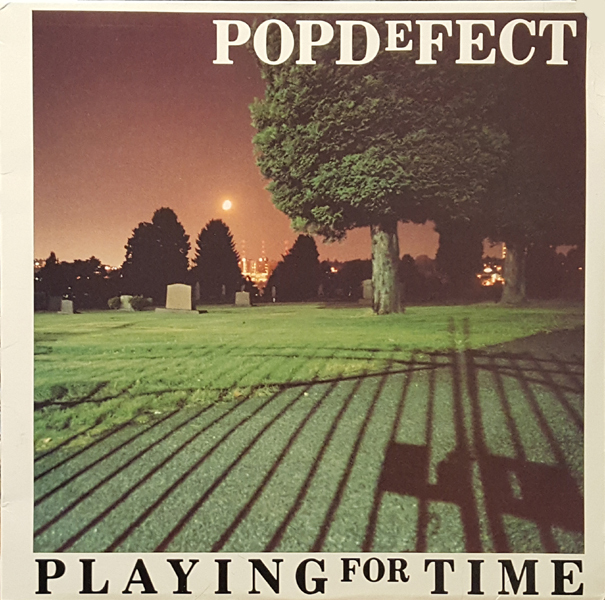 For indie/punk connoisseurs in the '80s and early '90s the name Popdefect was relatively unavoidable. It seemed like this L.A. area trio were constantly cropping up in fanzines (granted, more frequently in ads than articles) and on various artists comps. They had a steady slew of singles and albums too, but the ones I investigated back in the day struck me as either a little goofy or not particularly memorable. Nonetheless I'm happy I took a gamble on Playing for Time a couple years ago as I found it significantly more palatable. Defective? Nah. A little crooked? Surely. 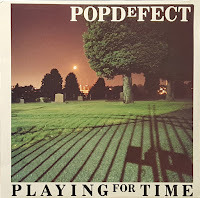 I don't think Popdefect were strenuously vying for a specific angle, but any inclinations to power pop may have very well amounted to happy accidents on "Perfectionist" and "Speak Your Mind." The hooks aren't spilling over or anything but melody is still keenly discernible, and they even tinker with post-punk flavorings on my favorite number here, "Can't Catch Up." By far and away, Playing for Time is the creme de la creme of what I've heard from this trio thus far, and I might be motivated to re/investigate other sectors of their catalog. In addition to an aging Earthlink band page (linked above) they have a Facebook presence to boot.